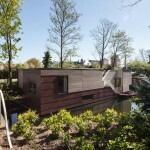 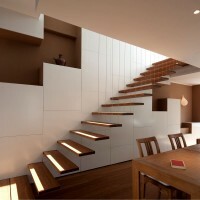 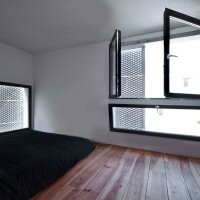 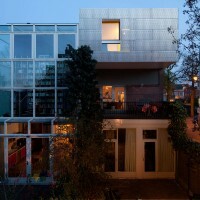 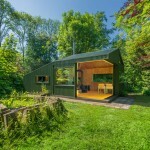 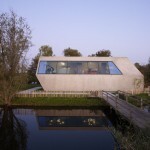 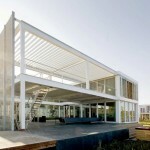 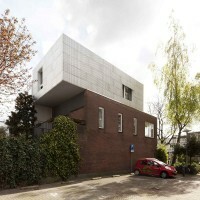 BYTR Architects have designed an additional floor for this house in Utrecht, The Netherlands. 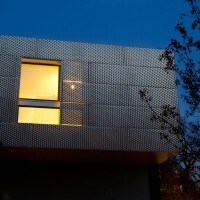 By putting the perforated aluminum panels upside down, people on the street looking into the building is prevented. 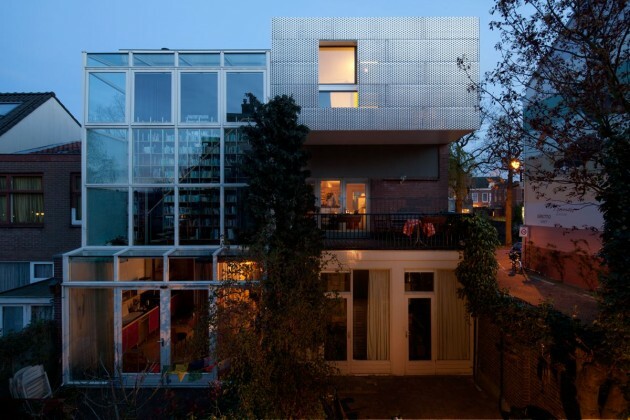 An interesting play of light emerges: at night, the metal is lit from the back, while in the day, the perforations provide diffuse daylight into the interior. 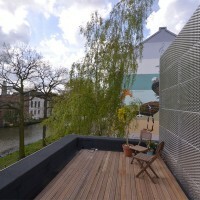 The rooftop terrace, acting as a herb garden, provides a good view over the canal. 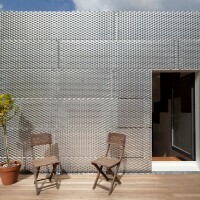 Because this terrace is sunk into the ceiling of the kitchen, the relation of the adjacent living-kitchen and terrace is strengtened. 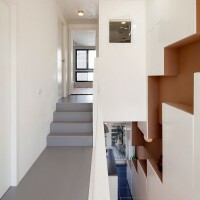 Terrace and kitchen come within reach, despite of the difference in level. 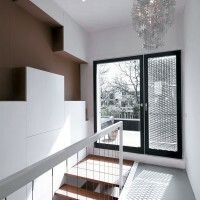 The stairwell void is occupied by a vertical bookcloset. 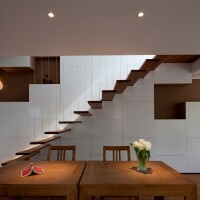 The bookshelves transform into easy, transparent stairs, wide enough to be used as a reading bench. 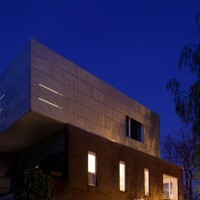 Visit the BYTR Architects website – here.